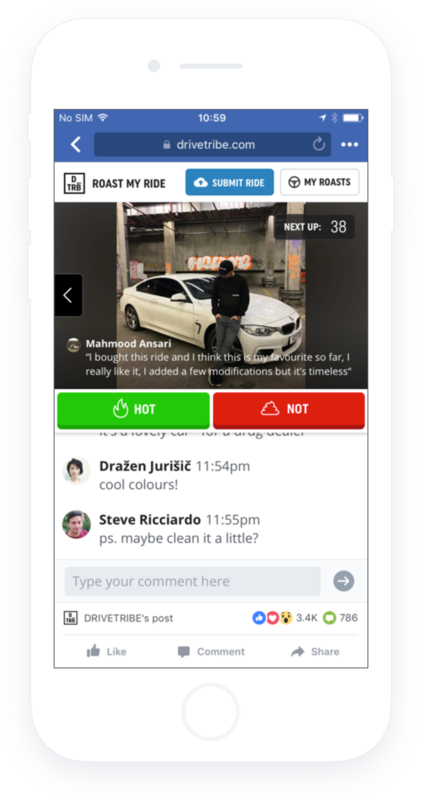 Joyride is home to the best car vids, memes and content from the world's biggest car YouTubers, Instagrammers and influencers – as well as the dankest memesters from the Joyride community. After having read the book Hacking Growth I proposed to run a company wide challenge to find ideas that are innovative and could unlock a potential 10x growth of our audience. One of the ideas with high potential was to have some sort of game where people could roast each others cars, as this was fairly risky I was given a 2 week deadline to have this live on the website. Given this project had a limited 2 week budget, I had to make sure that I only designed the high impact bits of the idea and left the finish after validation of the idea, so I focused the designs to work mainly inside the Facebook Browser. You can find a prototype which we tested with users here. Not over designing is a challenge. I have previously designed ideas where developers broke down the designs in smaller tickets and build them out. But a risky idea on a limited timeframe means it was more important to focus on a few key features instead, and to push back on feature requests. This game had a spectacular take off. Tens of thousands of users uploaded their car, hundreds of thousands of messages have been send and 4 million votes took place. A key insight was that the target audience was a very specific slice of the total Drivetribe audience, so we decided to launch this as a separate app focused at a younger audience. The press picked this up and it was covered in newspapers like The Mirror. I designed the core flow of the app in a few days, and handed this over to other designers at Drivetribe who established the brand and launched the app. Know your R32 from your R35? 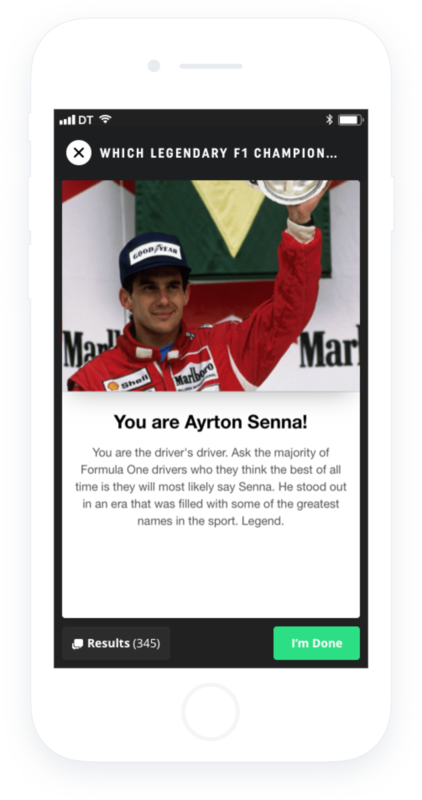 Take part in daily quizzes to prove your knowledge and challenge friends to see who comes out on top. 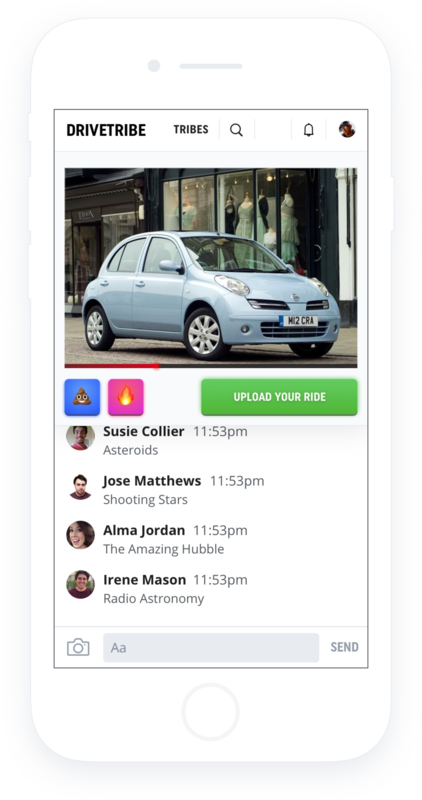 Tinder for cars. Is it ‘hot’ or ‘not’? Are you brave enough to submit your own car to see what the world thinks? Designed by a junior designer, Spot it, snap it, submit it. See a car on the street you need to share? This is the place for you. Weekly competitions mean you can actually win stuff for your car spots! Chat with the entire Joyride community. Hit them with your best GIFs and find like-minded Joyriders. After all, you can't be the only person who loves boosted Civics? As this was pure app design, based on the data and research of Roast My Ride and the Drivetribe App, the design process was straight forward and was done quickly. This app took off very well, and although only being a few months old, Joyride has already ±100K downloads with an active community behind it.